Gadgets make a lot of difference in this smart world. It is a known fact that the gadgets are part of our lives. It’s all about how efficiently we make use of the machines which assist us with its functionality. 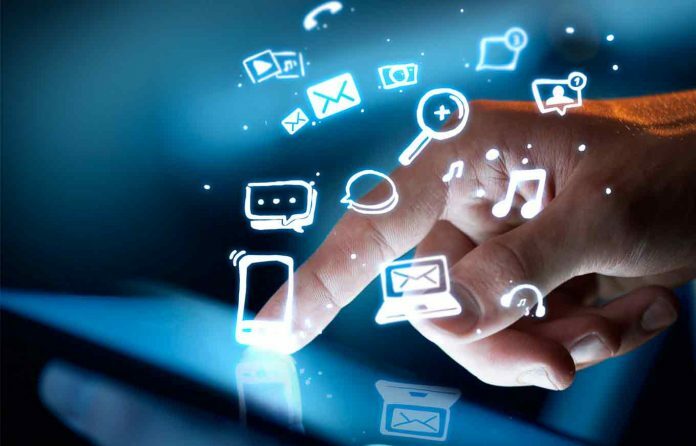 A gadget isn’t a thing which only makes the stuff much easier, but also provides the best of luxury with its efficiency’ here we provide the info about few gadgets which may impress you. This is an era of wireless and people are experiencing a great wireless audio without any generation loss. 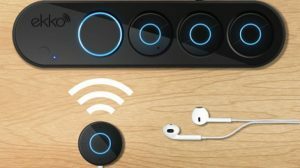 There are bunch of ways available for wireless streaming to speakers and headphones. Google has also announced Chromecast Audio, and there is a lengthy list of companies who offer wireless headphones in the market. Ever thought of headphones which get connect with a Wi-Fi system? HUB by ekko is the innovation, is being marketed as a hi-fi Wi-Fi system for speakers and headphones. Ekko connects to a single source and provides an audio output for as many as 10 devices. The HUB plugs into the output jack of any audio source and streams audio to small disks called “audio pucks.” you can use this HUB for any of domestic applications like TV, Gaming or simply for listening audio. The HUB also features a multi-room feature which ensures you an excellent connectivity throughout the home. A hassle-free wireless set-up is enabled with the individual charging stations. The whole system is monitored through an app which lets you master the volume control on different audio pucks. The manufacturer announced two variants-HUBS with four audio pucks and HUB mini with two pucks. 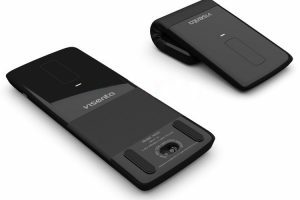 The device is expected to ship in the mid of coming year with a price of $199 and $299 as per the model. An early bird offer is also announced providing a discount ranging from $30 to $90. Irritating noise has been a part of the urban life, be it a car honking behind you, murmurs in office, TV sound or a blender kitchen. You miss an absolute silence in the busy life and a moment without noise is the thing you find nowhere. Here is a solution for all the annoying sounds which bother you. MUZO helps you making a quite space for your own. The acoustic device with anti-vibration technology cuts down the noise around you. Comprising of three modes- serenity, sleep, and secret mode, MUZO serves the need accordingly. Serenity mode provides you a silent space through the anti-vibration technology. Sleep mode enhances a peaceful sound scene with effects like a winter wind, campfire, space odyssey, etc. Secret mode gives you great speech privacy through sound masking. The device connects with a mobile app on smartphone and charges through micro USB. A fully charged battery lasts up to 20 hours of usage. Available in two color variants silver and metallic black, MUZO is very compact with a weight of 350 grams. However, you need to wait until February of next year to grab one for you. The evolution of wireless mouse is quite acceptable in the present day laptop or desktop usage. 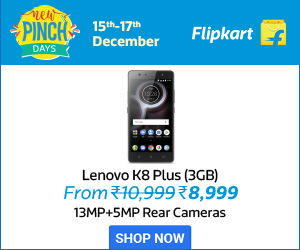 How about occupying your valuable USB port by its Bluetooth receiver? And do you think the big mouse which employs whole your palm is a right one to carry? RECON Foldable Mouse is the one for a slim and handy mouse experience. Inspired by human spine design, RECON has a reconfigurable body which changes the pattern of a regular mouse. RECON is more flexible concerning functionalities and appearance when compared to a standard mouse. An embedded switch turn on the device automatically while folding and turns off when straightened. However, the mechanism allows bending only in one direction at a time. RECON foldable mouse connects directly to the Bluetooth which comes as built-in features in the present day gadgets. RECON is compatible with Microsoft PCs, Mac OS, Android tablets and more. With a thickness of 9mm, it is quite easy to carry and comfortable fits in your pocket as well. The gadget offers a high durability with a 400mAh battery which gives a standby up to a month. With a great touch sensibility, RECON also sports a DPI resolution which can be switched on by the right and left buttons together for three seconds. RECON foldable mouse is suitable for any scenarios as people can use it for gaming, designing or a regular usage. It’s always good to have a portable audio speaker. But you often face difficulty in protecting it and charging for it is another addition to baggage. Here is best made portable audio speaker, MacroBoom. The Solar powered, the waterproof incredibly loud speaker is a perfect handy piece of tech must have where you are planning for an outing. Macroboom is totally rugged you can carry it for a campaign in the wilderness or long rides. 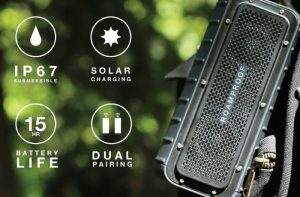 The solar powered speaker survives from helicopter drops and building falls proves it is a life-save durability device. It is also equipped with powerful amplifiers, and able to daisy chain devices for better playback. Submersible Speaker offers a standby of 15 hours. Macroboom is available for a pledging price starts at $125 which is quite acceptable without any compromise in audio quality. No one can forget the multicolor ballpoint pens which were viral a decade ago. It seems the new Cronzy Pen is the updated and smart version of it. Cronzy Pen provides an excellent color range of over 16 million colors instead of the boring 10 colors what we observe in a regular color pen. The device is equipped with a color scanner on the top to scan a real-world object. Making use of internal cartages, the pen will produce the selected color ink to write. It more likes an Inkjet printer in the form of a pen. And you need to replace the cartridges like a printer. 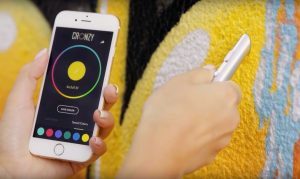 An app is available for iOS, Android, and Windows phone which lets you track the colors, change the pen color manually, and add new color with the color codes or a slider.